Redbull sent me a little care package the other day and here is my review. Redbull, is like “The Godfather” of energy drinks, it was the original powerhouse drink that hit US markets just 14 years ago now. My first career based job was working night shift in a hotel, some nights you do need that extra push and the hotel coffee doesn’t exactly cover that. 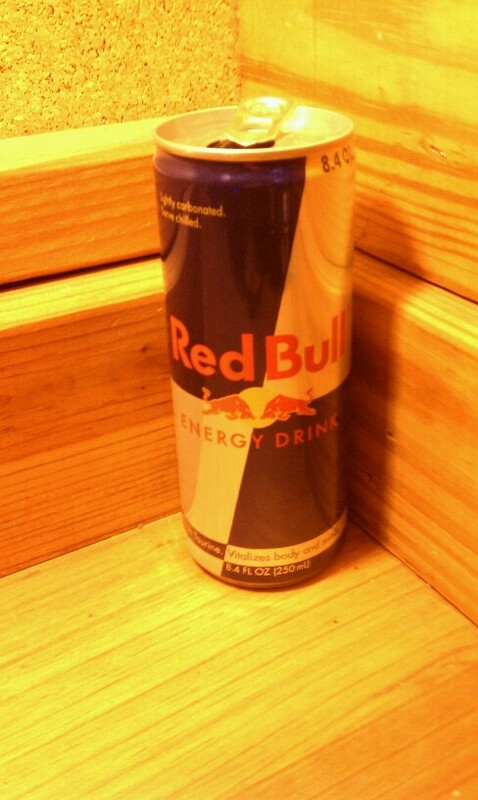 Redbull at work helped me push through some tough shifts, a little easier. There is no denying that Redbull has been on top of its game in the marketing department and has stayed true to its original by only adding a sugar free version and the cola that seemed to disappear lately. This three product portfolio along with the new energy shots shows a trueness to the brand. But they are now competing with through ten and thousands of energy drinks in the marketplace. However, the fact that redbull still owns about 25-50% of energy drink shelving in stores I have recently visited is a testimony to their great work and product. Redbull tastes like a lemon-lime drink that someone has thrown a bunch of sour candy or mix into. Its tangy, sweet, and sour. Its not the best energy drink I have tried but it is far from the worse. I have tried redbull mixed drinks on my University campus and in my local TGIF Fridays and the flavor shots do make a difference but I don’t think we will be seeing new crazy flavors anytime soon.